You can use your Suunto Ambit3 Sport for recording swimming exercises in a pool or openwater. When used together with the Suunto Smart Sensor, you can also record your heart rate while you are swimming. 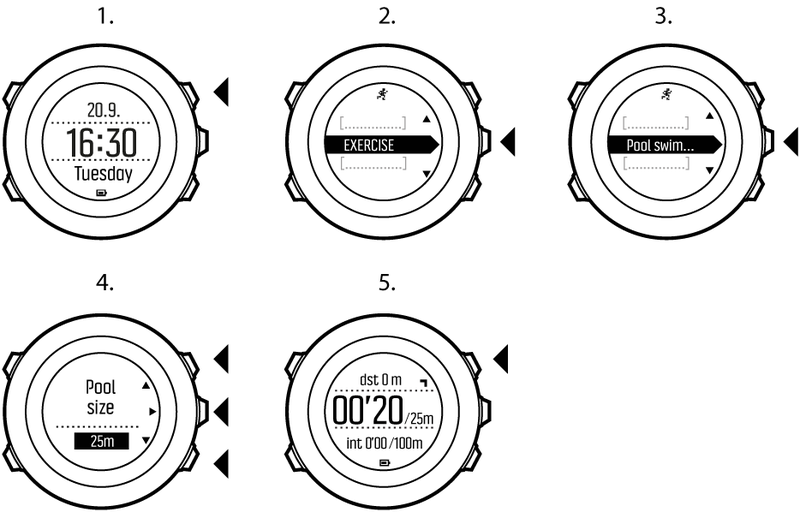 The heart rate data is automatically uploaded to your Suunto Ambit3 Sport once you get out of the water. 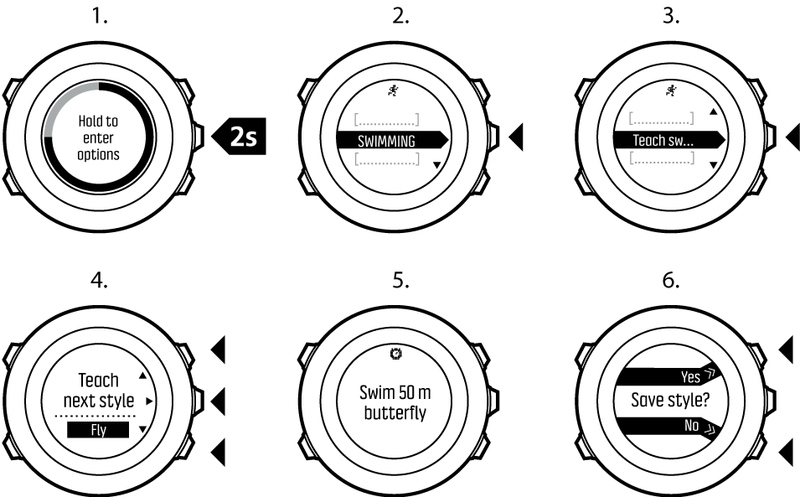 When using the pool swimming sport mode, Suunto Ambit3 Sport measures your swimming speed based on the pool length. Each pool length creates a lap that is shown in Movescount as part of the log. 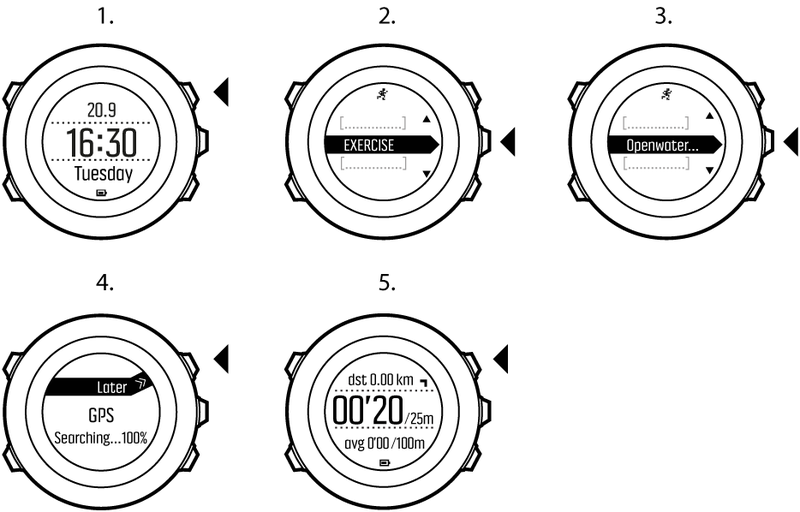 You can teach your Suunto Ambit3 Sport to recognize your swimming style. After teaching the swimming styles, Suunto Ambit3 Sport detects them automatically when you start swimming. When using the openwater swimming mode, Suunto Ambit3 Sport measures your swimming speed using GPS and shows you real-time data during the swim.